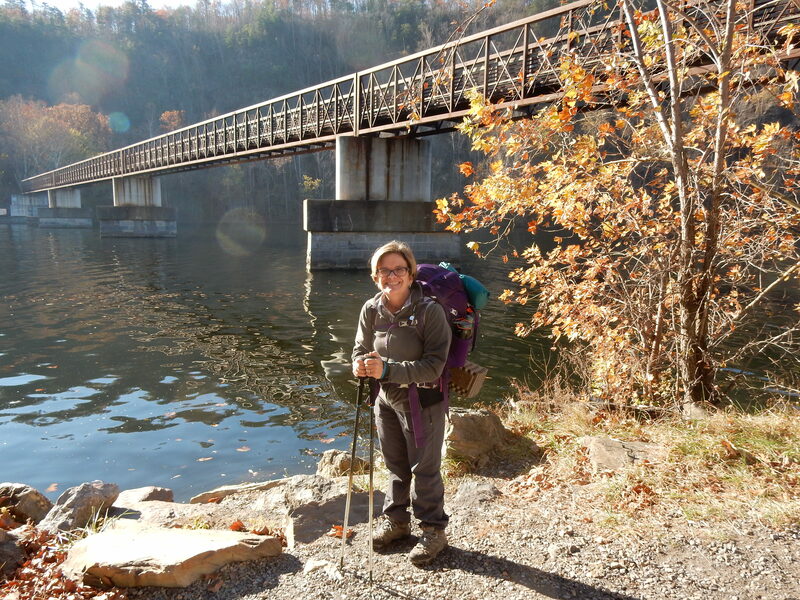 This was the last autumn backpacking venture that Maple and I would have for the year, and (as it turned out) it was also our first hike for the winter of ’16/17, for winter surely descended upon us on Saturday, November 19. But I am getting ahead of myself. Maple did some preparatory research for our backpacking trip and was told that a dry season had left Marble Spring spent, and that we should expect no available water at Marble Spring Campsite. So, in addition to packing our usual water for the hike, I filled my 4-litre dromedary. Unfortunately, on the way to our beginning point, one of my Camelback bottles leaked, and I found it to be completely empty as I prepared to begin our hike. The situation placed Maple and I in a quandary, but just then a mobile home pulled into the parking lot. I asked the driver if he had any water to spare, and his wife happily refilled my bottle. Afterwards I found that they were there with the intent to be of service to hikers—that they were, in fact, traveling trail angels. 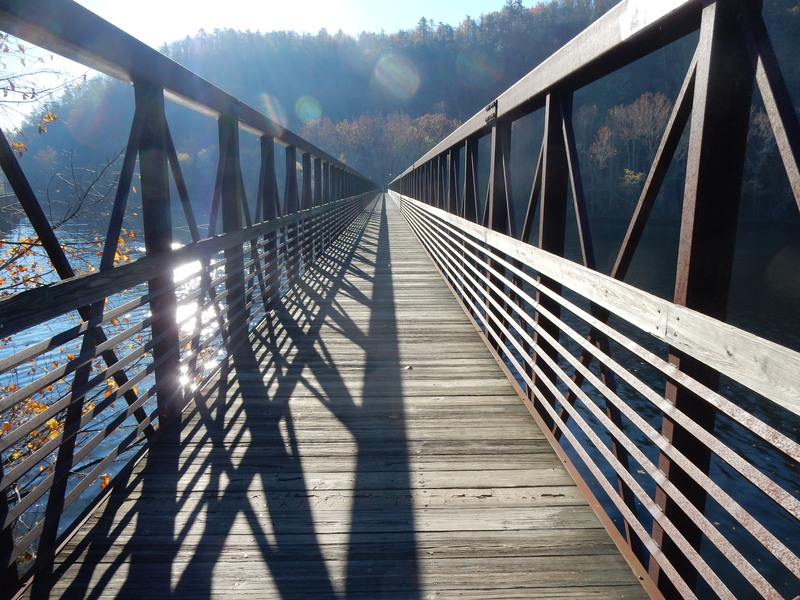 Our hike began by crossing the James River on the longest footbridge on the entire A.T., and then walking westward alongside it for nearly a mile, until we reached Matts Creek. 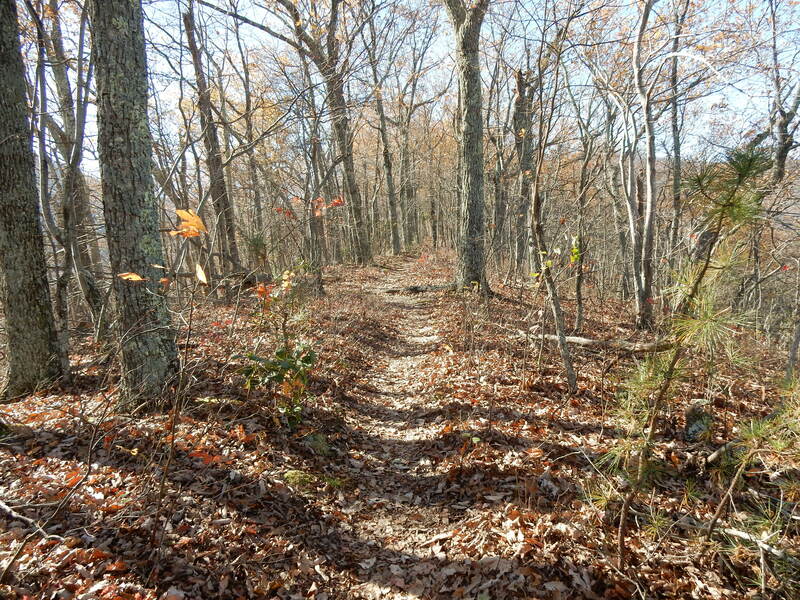 Then we followed the creek to Matts Creek Shelter before crossing it and beginning our ascent up to Hickory Stand. There Maple and I took a break for lunch, and proceeded about a mile before running into two trail workers, Buckeye and Grateful, with the Natural Bridge Appalachian Trail Club. They invited us to sit with them a bit, and we learned that they were also section hikers. 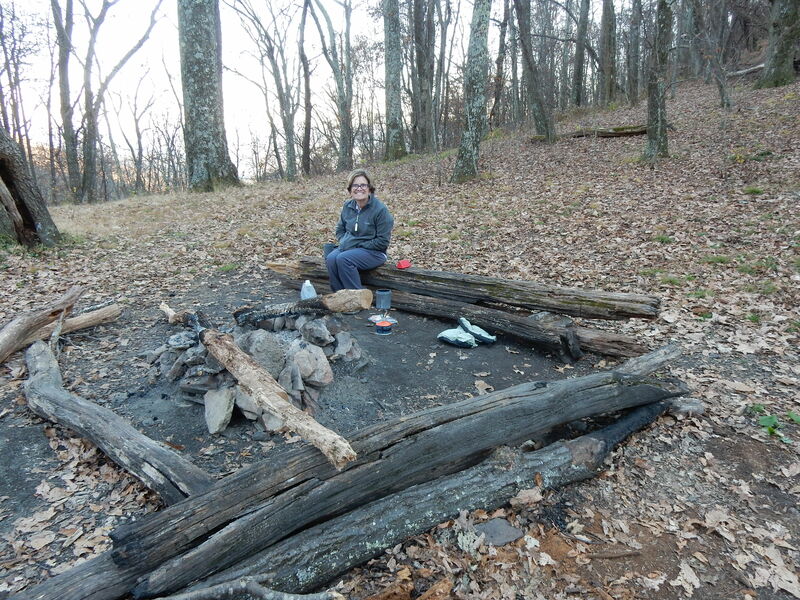 At 7.8 miles we reached Marble Spring Campsite and found that no one else was there. The first order of business was to check the spring, just in case, and we found that it was producing a steady but slow current. Once again, caution had prompted me to carry a heavy load of water unnecessarily. Still, better to be cautious than sorry. After setting up our tent and enjoying a cup of coffee, first a young woman (Grizzly) and, later, an older man (Leprechaun) strolled into camp. They both had the “gift of gab” and proved sufficient company for one another, so Maple and I called it an early night. During the night another southbound backpacker (who had sent home his tent!) came into camp. It had been a warm day, reaching sixty-nine degrees, and the night was cloudless and comfortable. 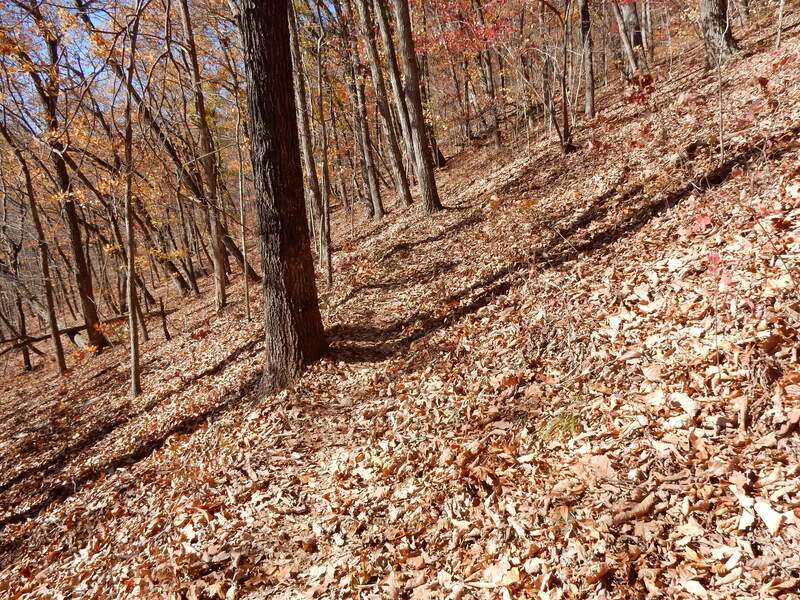 But the following day, during the late morning and early afternoon, the temperature dropped thirty degrees, and a powerful wind came into play, knocking down branches and scattering a fresh layer of leaves over our trail. In addition, dark clouds blew over us, threatening rain. Although Maple and I had 9.5 miles to hike, most of it uphill, we took few and short breaks, as we were afraid we were going to get pelted by freezing rain. Fortunately, we stayed dry and the clouds were blown away in the early afternoon. 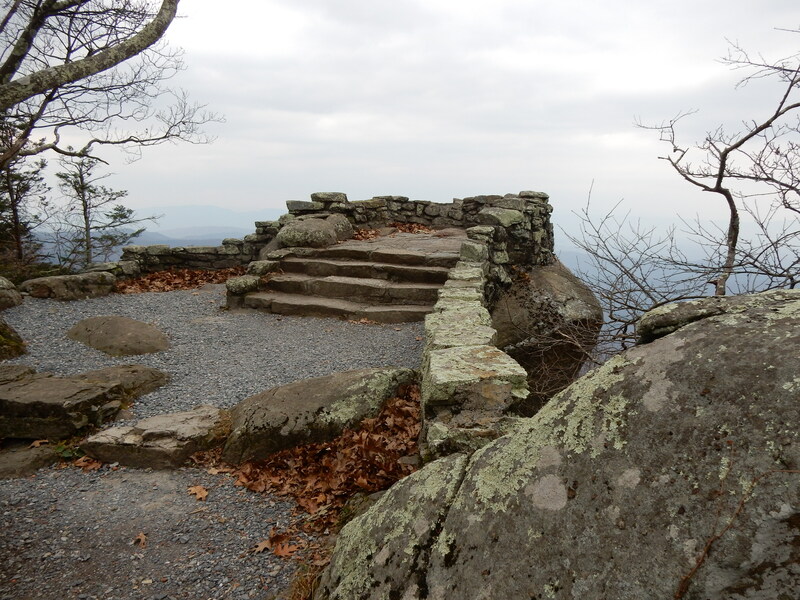 We passed Thunder Hill Shelter without visiting it, nor did we spend any time at the lookout on top of Thunder Hill. But we did pause briefly at the Guillotine. 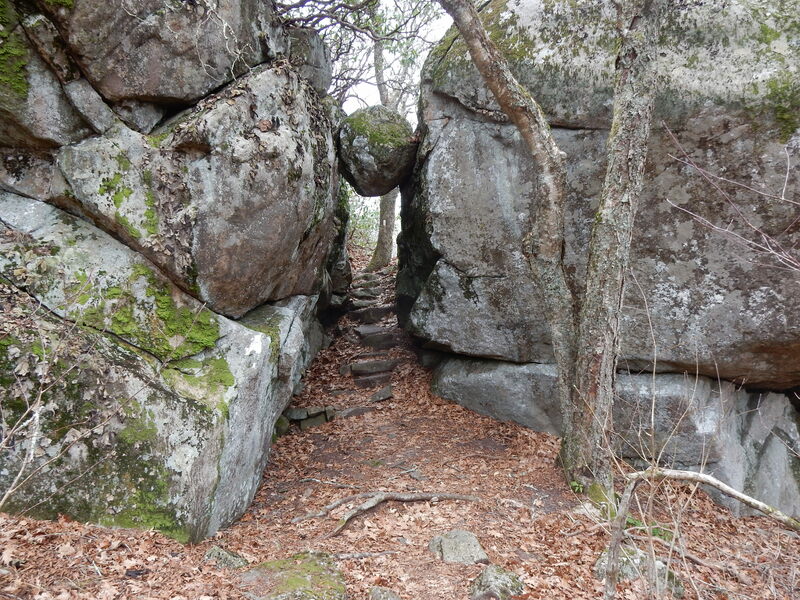 Who would not pause before walking under a boulder supported by two granite walls? That boulder may have been where it is for centuries, but it nevertheless looks like it is waiting to fall—just like the blade of a guillotine. 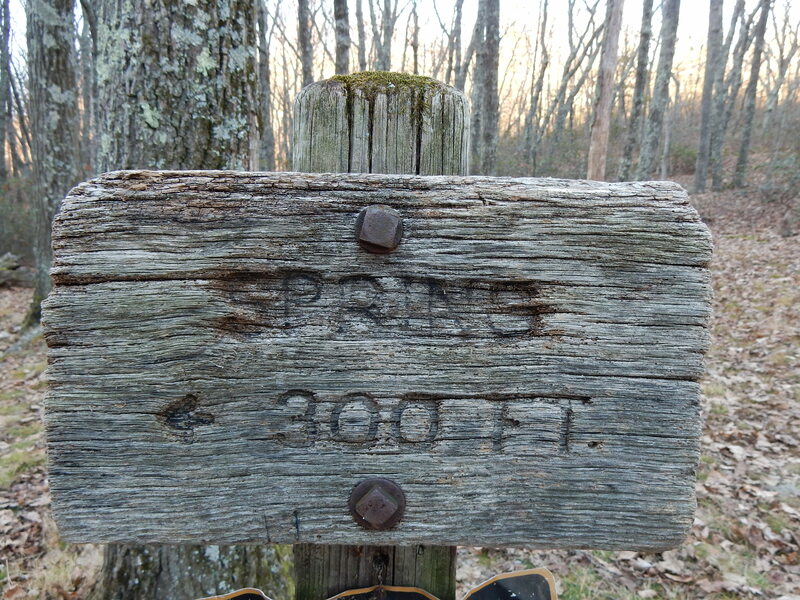 This entry was posted in Birch's Jots on Jaunts, Blue Ridge Parkway, Virginia Hikes and tagged Guillotine, Marble Spring Campsite, Thunder Hill by Birch. Bookmark the permalink.